President Donald Trump’s recent executive orders have thrust into the spotlight an issue that isn’t commonly known, but has great legal significance, and is scrutinized in a new study by University of Notre Dame Law School professor Jeffrey Pojanowski. The Chevron deference, named for Chevron U.S.A. Inc. v. Natural Resources Defense Council Inc., a landmark 1984 Supreme Court case, held that courts should defer to regulatory agencies when they interpret unclear laws passed by Congress, unless the agencies’ interpretations are unreasonable. 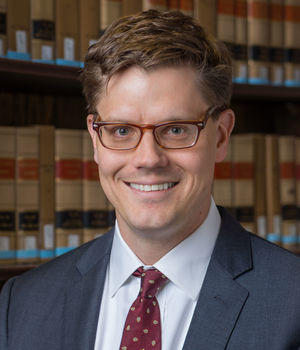 In “Without Deference,” forthcoming in Missouri Law Review, Pojanowski, who specializes in administrative law, finds that in recent years a number of judges and scholars have become increasingly critical of Chevron deference. Critics are concerned that Chevron gives too much power to administrative agencies, and that it undermines the rule of law in two ways: First, it makes it easier for administrative agencies to make law and policy without input from Congress. Second, by requiring judges to defer to agencies whenever the agency has simply a reasonable argument (even if judges don’t think that reasonable answer is correct), it undermines the court’s duty to say what the law is. Chevron deference has been a central point of dispute on a range of important issues, from network neutrality to immigration. And Gorsuch, who has been described by several observers as “to the right of Scalia on Chevron,” could push to diminish or overturn the doctrine. Whether this is good or bad remains to be seen, says Pojanowski. In “The curveball in the Gorsuch nomination,” Pojanowski discusses how eliminating Chevron would also rein in the president’s use of executive orders. So, why does Chevron matter? Even if Congress were to repeal Chevron or if the Supreme Court were to abandon it, it may be tricky to get rid of deference entirely. Even where statutes are more precise, there will be complicated cases where judges, simply as a matter of human nature, may give the close call to the agency if they trust its expertise. Originally published by Shannon Roddel at news.nd.edu on February 06, 2017.